Get directions to KU Edwards Campus via Google Maps or call 913-897-8400. Parking is free for visitors. 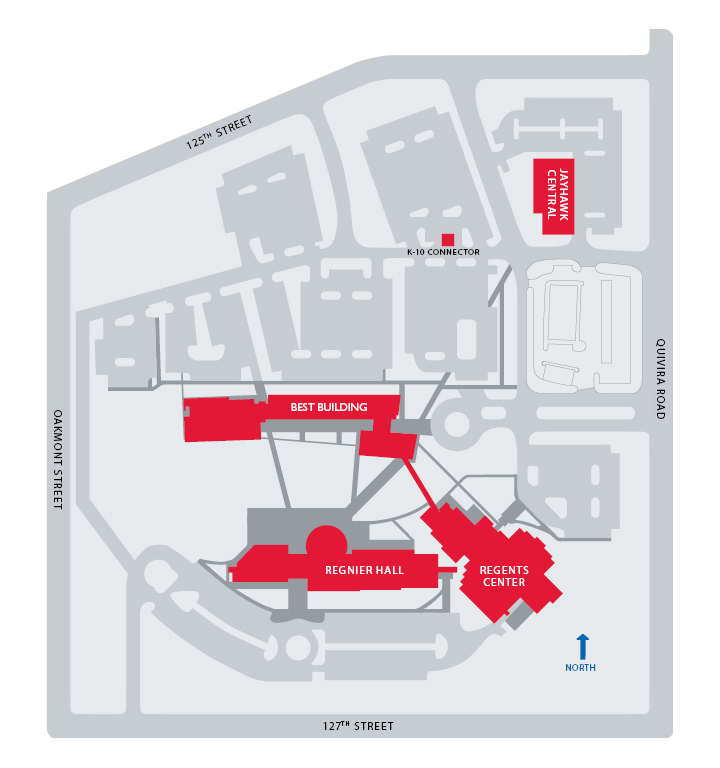 See the campus map above to view the parking lots noted in light grey.